We wish you happy new year 2019 full of success for all of us. CF Family wishes you a very Happy Eid for your and your friends. We wish you all the best. We are very delighted to experience 5 wonderful years together and continue the business together, more news are coming soon. It has been requested many times from us to accept crypto payments as a payment method. CF Team is working on it. We are so delighted of our expanding together in the new year 2018 and looking forward to provide more advanced unique services and support more countries. CashFear Co. wishes for you and your family a Happy New Year 2018 with success and happiness. According to our members request, we have extended the withdrawal period before system restarts, Kindly withdraw all your available balance inside our website https://www.CashFear.net and please forward these news to your team. Thanks again for supporting us to continue our dream and vision. Kindly withdraw all your available balance inside our website https://www.CashFear.net and please forward these news to your team. CashFear Team wish for you a very Happy ADHA EID for You and Your Family. 12 August 2016 Hot News, PAYPAL! Great News with CashFear, We are Accepting now PayPal in Payments and Withdrawals. more info, contact us from SUPPORT TICKET inside your account. Enjoy Your Life with CashFear Co.
5th July 2016, CashFear Company wishes a very Happy Eid for you and your family. CashFear Company wishes a very Happy Ramadan Full of Success for You and Your Kind Family. CashFear Company wishes a very great Journey for all our old and new members worldwide and we looking forward to better serve you with best support and fastest withdrawals through the highest percentage of commissions to all of you. 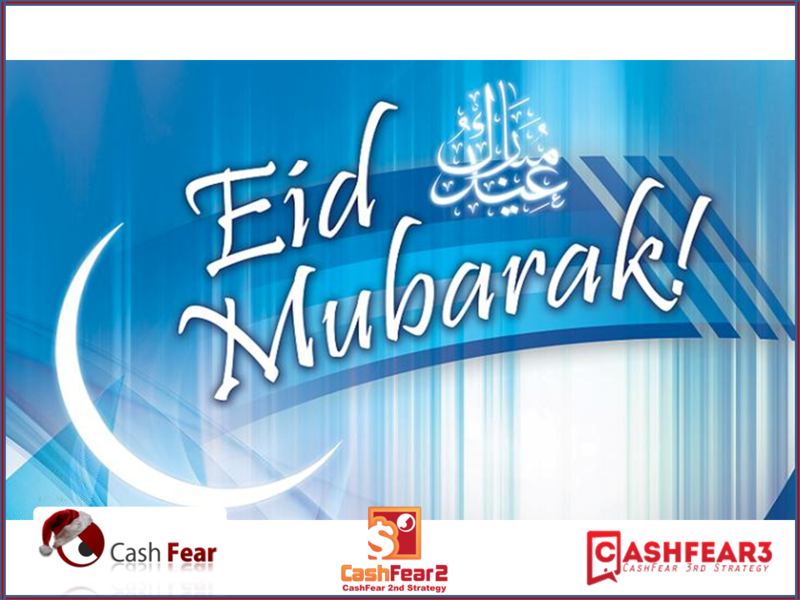 CashFear Company wishes a very Happy Feast for you and your family. Celebrate CashFear 3rd Birthday 12/December/2015 with CF SEVEN WINNERS HOT PROMOTION NEVER DONE BEFORE 2015 2016, 7 Winners in that promotion, yes! Seven Winners! 1st winner gifts: CF-Swatch + CF-Tablet Phone + CF Pin Suit + Thanks Certificate + CF Stickers + Hot Opportunity to work with CF Management Team in a huge coming soon Project + Free Upgrade to higher course + Free All Exams & Free All Certificates. 2nd winner gifts: CF-Swatch + CF-Tablet Phone + CF Pin Suit + Thanks Certificate + CF Stickers + Hot Opportunity to work with CF Management Team in a huge coming soon Project + Free 3 Exams & Free 3 Certificates. 3rd winner gifts: CF-Swatch + CF-Tablet Phone + CF Pin Suit + Thanks Certificate + CF Stickers + Hot Opportunity to work with CF Management Team in a huge coming soon Project + Free 3 Exams & Free 2 Certificates. 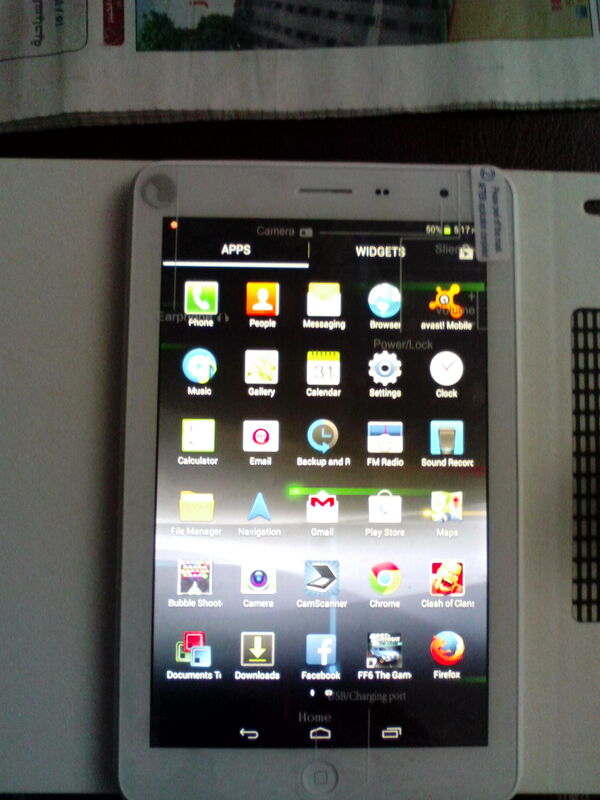 4th winner gifts: CF-Tablet Phone + CF Pin Suit + Thanks Certificate + CF Stickers + Free 3 Exams & Free 2 Certificates. 5th winner gifts: CF-Tablet Phone + CF Pin Suit + Thanks Certificate + CF Stickers + Free 2 Exams & Free 2 Certificates. 6th winner gifts: CF-Tablet Phone + CF Pin Suit + Thanks Certificate + CF Stickers + Free 2 Exams & Free 1 Certificates. 7th winner gifts: CF-Tablet Phone + CF Pin Suit + Thanks Certificate + CF Stickers + Free 1 Exam & Free 1 Certificate. You must work hard at CashFear 1st Strategies from 17 November 2015 to 17 December 2015 in order to become one of the SEVEN WINNERS, all you need is to earn as much commissions as you can, Yes, all you need is to work hard and earn big commissions in the promotion period, the Top Seven Earners in this period and the TOP SEVEN WINNERS!!!!!!! Kindly snapshot your account my e-wallet in CashFear 1st Strategy on 17 November & on 17 December (Starting & Ending day), Send the 2 photos to CashFear Management Team at CashFear@gmail.com on 17 December 2015 and within 3 Days CashFear Management Team is going to announce the SEVEN WINNERS. International Shipping fees for the gifts might be charged on the Winner. Minimum Commissions to be earned in this period is $200 to have a chance to be one of the winners (Hint: that’s very easy term for all members; because you are earning $30 per each direct referral joining with $30. Example: you referred 4 members today, you earned $120 today :) ) Enjoy it to the maximum :) Celebrate with your company CashFear :) . Happy Birthday all our Kind Members & Visitors. CashFear Company wishes a very Happy ADHA Feast for you and your family with all success and adorable moments. After you succeed in the exams, you are eligible to order 2 Success Certificates with $12 only not $20. You are also eligible to order 3 Success Certificates with $15 only not $30. 22 April 2015, The Direct Selling Equity! CashFear Company is so glad becoming a pending member in the Direct Selling Equity. Wait for more hot news very soon! To all our family, friends, and visitors that are celebrating today, CashFear would like to wish you a very happy Easter! Succeed in any 3 exams, request the certificate for each course, you will get the 3 certificates for a payment of 2 certificates only. Enjoy Learning and Earning with CashFear. *This Promotion is valid from now to 18/April/2015 at 7:00 pm GMT. 9 March 2015, The 4th Strategy from CashFear Company has just launched. Kindly Download the file SuperCashFear.zip that explains to you the presentation and the pre-launch of the Super Strategy from CashFear Company to book your position at the top of the world. 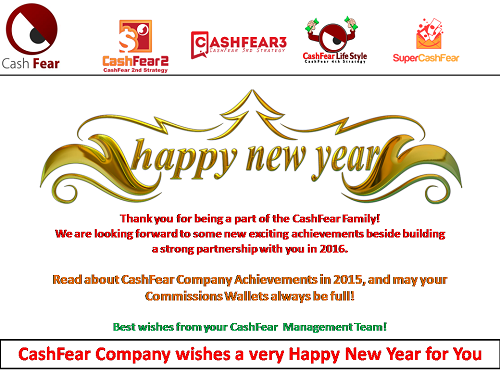 CashFear Team wishes a very Happy New Year 2015 for you and your family with all success and great dreams. Together we enjoy our lives. We are so happy being together for 2 years with all success and goals achieved, We are looking forward for a huge boom with CashFear Super Strategy that will be ready within 21/January/2014. We are so glad to announce that the best team for this month is the Egyptian Team, they are moving so fast, making a lot of meetings and helping many people to enjoy our CashFear Services. We are looking forward to celebrate the power of CashFear with all countries, This is your time to show off with your team. We are so proud to celebrate together the 2nd year birthday party for CashFear Company on 12 December :). Keep tuned with CashFear for hot news soon. We are very delighted to wish you a very Happy Eid for you and your family with CashFear and because of this Feast we are giving you this hot promotion. Any member request CF-Certificate on any Course that he/she succeeded in its exam will get the Certificate through Postal Mail with $5 Only (not $10) :). This Promotion is valid from 27/July/2014 to 17/August/2014. 13 June 2014, Exams and Certificates News. The Courses are available inside your account in English and Arabic Language. The Exams opportunity for each course are available inside your account in English and Arabic Language. The International Certificates for Successors are available now in the headoffice, once you request your certificate contact support ticket from inside your account >> Support Ticket >> Raise New Ticket and give them your details (Name, Address, phone, Post Code, Certificates you requested) and within 15 days you get your certificates through Postal Mail (Free shipping). For each $33 to be deposited into your CashFear ewallet, kindly add $2 (send $35) for the e-banks & brokers fees. Now we have just opened withdrawals through Egopay and Perfectmoney. So right now you can withdraw your commissions through E-banks: Paypal, EgoPay and PerfectMoney (minimum withdraw $1). also you can withdraw your commissions through Bank Wire Transfer (minimum withdraw $100). just contact Support from inside your account. you can contact us on our e-mail: cashfear@gmail.com and give us your username in https://www.cashfear.net, our Management Team will confirm with you about your manual payment and will deposit the funds manually to your account. Succeed in the 3 exams for the first 3 courses, request 1 Certificate for any course and you will get the another 2 Certificates for free :) (Request only 1 and you will get total 3 Certificates). Certificates are supported from CashFear with CashFear Seal and 14 Worldwide Training Centers' Seals. Promotion Available from 24 January 2014 to 16 February 2014. Enjoy Your Learning and Earning With CashFear Services. 11 January 2014 News, The CashFear Smart Quad Pad (CF-SQPad) is ready and CashFear Third Strategy has just Pre-Launched (Accepting Members and Orders). What are you waiting for? Contact your Sponsor, Join Now https://cashfear3.net and notify your team. CashFear Company has just announced that the CashFear Smart Quad Pad 3G which is The First Egypt & England Tablet Design from CashFear Company Launches within 6 days (CashFear 3rd Strategy). The 3rd Strategy from CashFear is Technology and Life Products with very Competitve Prices and Exclusive Opportunity. 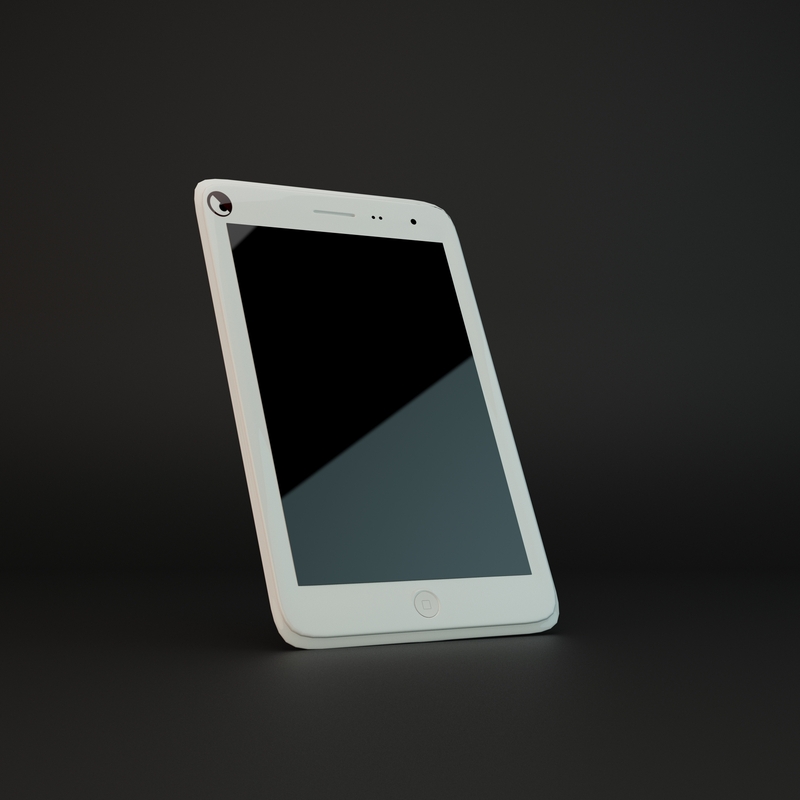 Get Ready for the CF-SQPad boom. Enjoy and Celebrate with CashFear Birthday. Yes, Pass in the 3 Exams, Request 1 Certificate and you will get the other 2 Certificates for Free :). Certificates are being sent through Postal Mail for Free :). CashFear Company has just announced from inside the CashFear Birthday 12/12/2013 that the Third Strategy:CashFear Products will launch within 2 weeks which is the CashFear Smart Quad Pad: the most powerful up to date tablet with Quad Core Processor, 2 Sim Cards (Make and receive calls), Rear Camera: 8 MP with Led Flash, Front Camera: 3.2 MP and a lot more. The CashFear Tablet is going to be shipped to you through DHL/Fedex from CashFear new office that is being registered in HongKong. This is going to be a huge breakthrough in the market. be ready for more info, prices and how to order soon. Thanks for all brothers and sisters for your hard work and together we make the dream true :). Hot Congratulations to Coach./ Mostafa Mahmoud from Egypt for succeeding in the C1, C2 & C3 Exams with more than 95% and he won the CashFear Feast Eken Tablet Promotion. We are getting near to our CashFear Birthday 12/12/2013, and we would like to say thanks for all members and training centers who supported us, today is a new gift special for CashFear Co-operated Worldwide Training Centers! you will get an account for free paid for 3 monthes and has 3000 Advertising Credit = 3000 Viewer for your ads about your training center services. There is no any hidden fees or any obligations. 100% free. * To get your free account paid for 3 monthes in CashFear2, kindly contact us by e-mail: cashfear@gmail.com and give us your Training Center Name, Address, Phone and courses/services you provide. and within 4 days you will recieve our reply contains your username and password in cashfear2 which contains your 3000 advertising creadits. * kindly do not refer others from your gift account, if you would like to work in CashFear Second Strategy, you can open account with the CashFear Agent who assigned the contract with you. because we protect our members and agents rights. Celebrate your business and partnership with CashFear Co. Ltd.
We are so happy to announce the first meeting for CashFear Very Important Networkers (VIN) soon !!! Please help us to Congratulate Coach./ Mostafa Mahmoud from Egypt that won the Feast EKEN Tablet Promotion! Coach./ Mostafa Mahmoud got 95% in C1 Exam, 97% in C2 Exam & 100% in C3 Exam. He requested the 3 certificates of CashFear Worldwide Certificate that is supported with 14 Worldwide Training Centers Seals and CashFear Seal. and he won the Feast Promotion : EKEN TABLET. and he won Coach Mando Gift to send the 3 Certificates and EKEN Tablet through Aramex Shipping Company for Free :). 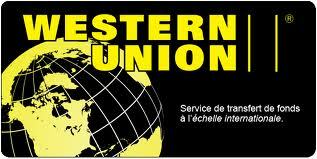 Good day with CashFear Hot News, Now you can Withdraw your commissions through Western Union :). (Minimum withdraw $150). from inside your account >> Support Ticket >> Raise New Ticket. Enjoy our Adha Hot Promotion !! Enjoy Our CF-Adha Hot Promotion! Eken Tablet 7 Inch For Free!!! The Promotion ends on 28th Oct. 2013 or when the first CashFear Member Achieve the 95% Success in the 3 exams and request the certificates. Now only remaining 150 member to get the gift. Thanks for your trust us and together we boom in the whole world with the cashfear update, refer 1 and get your money back !. Congratulations everybody, and still 850 member will earn $3 gift from CashFear Management Team. CashFear Management Team is giving gifts to our kind members that accepted the voting of removing the straight line and cycler in order to increase the commissions of disaster hearts to be $30 per each direct referral in Stage1/Course1. CashFear Management Team decided to distribute $3,200 to our members according to their acceptance on the voting of removing cycler and straight line and making The Disaster Hearts more powerful. so that CashFear will distribute $3,200 between 1,000 member, $5 for 50 member each that their turn was ready in the straight line, $4 for 100 member each that their turn was after the 50 member, $3 for 850 member each that was their turn after the 100 member. we will keep you updated here in the news with the usernames that we sent them the CashFear Gift every day. We are so glad to announce that we have just updated the system according to the master mind request and members voting. Right now, we are working with the Disaster Hearts with the huge breakthrough! Refer 1 member ($33), and earn $30 Commissions right now from the Disaster Hearts !!!! Refer 2 members ($33 each), and earn $60 Commissions right now from the Disaster Hearts !!! This business is starting the boooooooooooooooooom. According to the last news (The Master Mind Team requested to remove the cycler and straight line from our system, and work only with disaster hearts. in this case, when you refer one member (joining with $33). you will be earning $30 right now from the Disaster Hearts. This is a huge big through, but we are studying the request in deep, and we will keep you up to date. CashFear Management Team) + the official voting on CashFear Official Group on Facebook. The Management Team announced that CashFear has no problem about that update and we will work on that update from today because it's A Huge Breakthrough for all members to earn $30/ each direct referral from the Disaster Hearts Business Plan which means refer 1 you approx. got your money back right now. We expect to finish this update within 4 days. 21 September 2013 News, The Master Mind Team requested to remove the cycler and straight line from our system, and work only with disaster hearts. in this case, when you refer one member (joining with $33). you will be earning $30 right now from the Disaster Hearts. This is a huge big through, but we are studying the request in deep, and we will keep you up to date. The Second Strategy from CashFear has just launched. kindly contact your sponsor if you would like to join the disaster monthly revenue. Website of the Second Strategy: www.cashfear2.net and let's booooooooooooooooooooooooooom and celebrate Success Together! After that our programmers will check all users who did the transfer, arrange them according to join date, and place them under their paid uplines in the second strategy website. You will get an e-mail within 72 hours of the last sending duration that includes your username,password and Verification Link in the Second Strategy Website. After that you can refer all the world to enjoy the massive Second Strategy Monthly Earning from Different 7 Memberships that will be launched 1 by 1. 1- We have just finished Second Strategy (The Monthly Salary) Legal and Official Contract. 2- We have just finished organizing the paid members for second strategy and within 48 hours we are going to sign them up the second strategy website. 3- We are going to test the commissions after the sign up process. And after everything is fine, the paid members from CashFear will find e-mail contains their username and password in the Second Strategy. 4- We have just finished a YouTube and Google+ page for the Second Strategy. 5- We are going to prepare Video Presentation in Arabic, English and French for the Second Strategy. 30 August 2013 News, 1-	We have just uploaded CashFear Youtube Video Presentation Links inside your account in Training Materials >> Videos. 2-	We have just uploaded CashFear Introduction in Arabic, English and French in PDF in Training Materials >> Intro. 3-	W e have just uploaded CashFear Exclusive 13 Services in Arabic, English and French in PDF in Training Materials >> Services. 4-	You are working in CashFear Legal Company officially as Commission Agent, kindly print your contract that is available in Arabic and English Langauge from Training Materials >> Contract. 5-	Exams and Certificates are ready, from inside your account, check View Exams, success starts from 75% and after that you can request our international certificate this is supported by CashFear and worldwide Training Centers Seals. 6-	Check our Youtube Channel from here: http://www.youtube.com/user/CashFeardotnet 7-	Second Strategy The Monthly Earnings is ready, we are organizing the top members of the world now from CashFear Company, getting some information from Database, Arranging the leaders and then we will sign up the top members in the Second Strategy (The Monthly Earnings), after that everyone can join the Second Strategy directly through his inviter and you can start referring others, keep following our hot news soon. CashFear!!! The Dream Became True!!! You will get an e-mail before Thursday 5 September 2013 10:00 PM GMT that includes your username,password and Verification Link in the Second Strategy Website. CashFear Exams are available in English and Arabic Languages 24 hours daily :) inside your account from VIEW EXAMS. CashFear Certificates are ready :) your Certificates are supported with CashFear Seal and Worldwide Training Centers Seals. You can Request Certificate after passing the exams with 75%. Now the Exams is booming in CashFear, Celebrate Your Business and Get Certified from CashFear and Training Centers Worldwide. Courses are ready in Arabic and English Language. New Training Materials with new shape are ready. View Downlines is working fine. We have just added a feature to show you total number of paid&unpaid Dowlines, Check My Network >> Summary. We are organizing a new exclusive service for all CashFear that will boom god willing within 7 days. We have just added Advertising in our legal papers so we can provide advertising in our second strategy and all details will be revealed in the small feast. We are now accepting Manual Deposit through Payza to help all our members work easily through Support Ticket. Courses Exams have just started, enjoy our exams and get certified in all our exclusive courses, Success Percentage is 75%, Exams are working 24 hours at any time, enjoy being certified from CashFear Company and supported by CashFear Seal and many Training Center's Seals Worldwide. Certificates are being sent to you through Postal Mail after you succeed in the exams. if you would like to receive your certificate through Aramex or Fedex or DHL, kindly after passing the exam, Raise Ticket in Support Ticket from inside your account and request from our support team and they will get to you the exact price for the Shipping. Exams and Certificates are available in Arabic Language and English Language. 21 july 2013 News, CF Mastermind team requested a little edits to make CashFear so powerful, for now we are studying the request well and we will get back to you with management team answer. 3- 3) We have just opened bank account for CashFear Company in BNP PARIBAS to send and receive bank wire transfers legally 100%. 4- 4 )We are prealaunching the second strategy of CashFear MONTHLY REVENUE in the small feast :) within 42 days :) get ready. 9- 9) We have just uploaded the courses in English Language :) download it from DOWNLOAD E-PRODUCTS from your account. 11- 11) We are working now on making legal paper for each member like Commission Agent Contract. Because we are legal company and also we are looking for protecting all our members in their work from any players or anything, so with this contract you are working in CashFear more than legal. 12- 12) Enjoy the 90% Commissions for you from CashFear and 100% Upgrade Commissions for you, Enjoy Earning like Owners. 29th May 2013, The Electronic Bank LibertyReserve is offline, there are a lot of talks about that, but we are always optimistic, We are here to tell you that Thanks Allah everything is fine and whatever the loss is, we will continue building our Honest Empire CashFear Stronger than before, we are doing our best with you to develop our company and help all poor people worldwide to have their safe home here in CashFear. Some of our partners suggested another electronic banks to work with so we are now studying each of them and we will add another electronic bank as soon as possible. In the mean time, you can withdraw easily through payza and egopay with no minimum withdrawal limit or anythin. just request withdraw through any available payment processor from the withdraw page and send us support ticket (from inside your account) with your payza/egopay id. and within 48 hours you will receive your withdrawal without any delay. 5th May 2013, We have just finished The Payment Checker programming and Inch Allah testing it within 48 hours. 1st May 2013 We are The 1st Company in the World that has a problem in the payment page :) not the withdraw page :). Withdrawals are working 100% with No Problem. Thanks Allah. kindly if you want to pay for a new member using E-wallet, just send $33 to the user and he pay for himself using his E-wallet. We are adding THE PAYMENT CHECKER within 4 days that will protect our members from Double Payment Problem using E-wallet. so kindly Don't Pay for new members from Your Wallet. *New Members can pay directly from Liberty Reserve. *New Members after verifying their e-mail, they can receive $33 on their wallet from any other member and pay for themselves Directly from (Pay Using Wallet). Kindly Co-operate with us to avoid any programming issue till we finish THE PAYMENT CHECKER. The Withdraw is working 100% with no problem, the repair is on the payment page :), Thanks For Your Help and Trust in us. 26th April 2013 We are repairing the Payment Page, so kindly Don't Pay for new members from Your Wallet. New Members can pay directly from Liberty Reserve. New Members after verifying their e-mail, they can receive $33 on their wallet and pay for yourself Directly from (Pay Using Wallet). Kindly Co-operate with us to avoid any programming issue till we finish repairing. The Withdraw is working 100% with no problem, the repair is on the payment page, Thanks For Your Patience. The repair is on the payment page only for new members, Thanks For Your Patience. Surprises Are Everywhere With CashFear ! CashFear is Looking Forward to Help Everybody Financially ! CashFear Monthly Profit Sharing Will be Launched after the 2nd Strategy Forex Killer ! All Info will be available soon. You are invited to Participate in Our CashFear International Promotional Video. Record a video of you saying CashFear + The Pluses you like in CashFear in less than 25 seconds. and send the video to cashfear@gmail.com within 4 days maximum. kindly don't put any team name or ads inside the video. Our Research Team will choose the best quality and attitude and Organize the CF booming video. Also don't forget to Check our New Promotional Tools and Presentation Ver.10 in the Memberarea. We have just uploaded New Hot Banners in The Promotional Tools. We found little bugs in our system and we have just repaired it. Courses in English Language was having little errors and will be ready within 3 days. 1 - Joining method has been modified to be Registeration then E-mail Verification and then Payment. as not to find any problems with our members once again as a result of non-activation e-mail. 2 - We have just repaired Profits of Courses Upgrade problem programmatically, and now courses profits appears fine, God willing, Unshown profits were sent manually to the members. 3 - We have just solved problems faced 8 members. 4 - surrounding transfers among members to show you the username of the person who you transfered to him, to make it easy for you to review your Transactions at any time. 5 - Our 1st CashFear Official Event at Bibliotheca ALexandrina is postponed because of the current security situation, and God willing, Soon we vote on the most appropriate date. 6 - Be Ready for The Second Strategy (Forex Killer), God willing, on 27 March 2013 and all the details will be claimed soon. 7 - CashFear Team is studying the proposal for the fourth strategy: advertising :) and, God willing, to complement the strong surprise soon!!! 8 - We are preparing a very Strong Promotion before the start of the second strategy, God willing :). 9 - We are uploading the English Courses this week. 10- More Professional Promotional Tools are coming ! 11 - CashFear Management Team begins work in the CashFear HeadOffice (Alexandria, Egypt) on the first of March 2013. 12 - processing of examinations and certificates as promised to begin in the middle of March 2013, God willing :). 13 - processing collaborations to ensure all members of CashFear for their capital in the next strategies. * Only CashFear Members who referred at least 4 paid members and upgraded to Course2 can attend our Event. * This is your very best Chance to Boom Worldwide with CashFear. ***** Enjoy Our CF Booming Videos and Soft Songs Between Sessions. **** Enjoy CF Questions and Answers Gifts. *** Celebrate With The CF Top Leaders Surprises and Certificates inside the Event. ** Raise Your Business Above The Sky. * And So Much Surprises in the Event !!! Limited V.I.P Invitations and Event Program will be available soon. We are placing Helper Shares in the Straight Line everyday till 19th January 2013, More Cycles over and over. Only CashFear Members who Referred at least 4 Direct Referrals and upgraded to Course2 are Invited. This is your best chance to boom worldwide with us in the Event. All CASHFEAR are saying WOOOooo!!! Happy Big Eid with CASHFEAR! Enjoy Our ADHA Hot Promotion! You refer 4 members - Help each of your members to refer 4 members. Hint: If you already referred members or your team did, it’s okay, just continue and help each of your 4 to refer their 4. So when 16 on Level2 is completed, Enjoy Your ADHA Bonus Commission. Our Programmers are now implementing the Straight Line Volcano Shares within our website. We will keep you up-to-date as we progress and thank you for your patience. We wish you Happy Earning with No Fear in CASHFEAR! 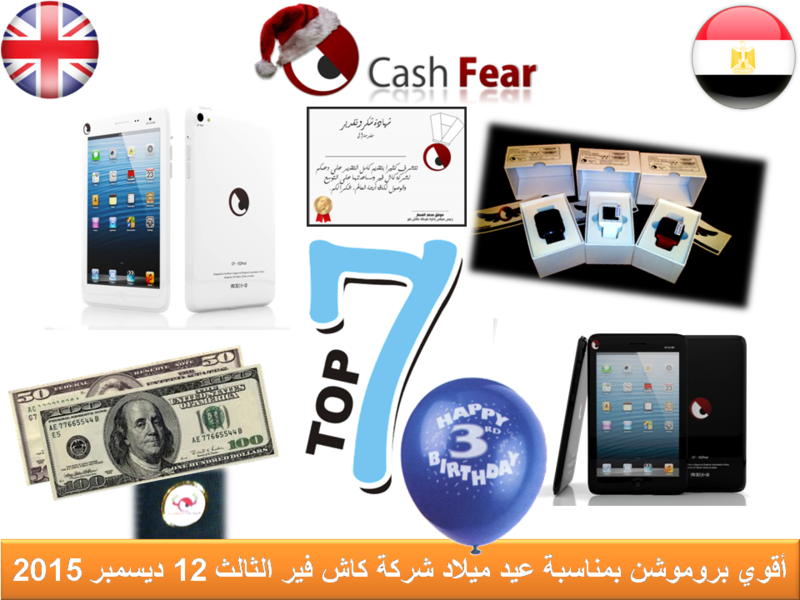 CashFear Has Just Launched 12th December 2012- Celebrate With Us. CashFear is saying Merry Christmas with A Hot Promotion in the New Year! CashFear Helper Shares will be placed in the New Year! CashFear International Discount Card Coming Soon! CashFear Has Just Launched - Celebrate With Us. We have completed the placement of Shares in the StraightLine, with commissions showing under the respective tab. This is Our Launch Day! We have today finally and thankfully completed the programming of the entire system of the StraightLine Plan. All challenges faced by our Team of Programmers have been overcome, and we have just uploaded the StraightLine Plan on our website and within the control panel through which we manage the website. We appreciate the hard work of our Team of Programmers during the development of the StraightLine Plan. We have deleted all free member accounts in CashFear which were registered prior to 30 November, 2012, so as not to delay our programmers or cause any error in the StraightLine Plan. We have also checked the accounts of each paid member and documented each member's username with the sponsor's name of each paid member registered with CashFear until the 30th November, 2012. Our First International CashFear Company Event in Alexandria, Egypt is planned for Mid-February, 2013. We thank God for bringing CashFear to us. We Have just crossed more than 200 Active member in less 13 full working days. We are working now on the Straight Line Programming, Soon all our honest members and leaders will get shocked with their earnings and will see the power of straight line. We are looking forward to celebrating our Full Launch on 12.12.2012. We are right now in our Pre-Launch period. While we put the finishing touches to the system, all members can begin to be a part of our Program and enjoy its benefits. Wish you happy Learning & Earning. Thanks to our kind builders for their patience during the server maintenance. We are having Webinar Today 17/October/2012 at 7:00 PM GMT (Starting within 2 hours & 30 minutes), Discussing the 7 Strategies Towards Financial Freedom in 1 year only & Guaranteed. Great Success, Only in 10 working days with Cash Fear, WE ARE SO Happy Serving more than 150 Active MEMBERS. Our kind members found some problems in there 2X1 Matrix, Boards & some features in their member area, Our Programmers did hard work and finally solved the problems, Kindly check your account and contact us if you find any other problems. Kindly check your gift in the Training Materials after logging in your account.
" Celebrating full 4 days. Great effort from the Programming team. Incredible effort from the Researches team. Wonderful co-operation from our members in maintaining the system. Now we are processing in day 5 in the Pre-Launch period. Wish you great earning with no fear from real."